I needed help for my Virtual Loudoun course, and with Mr. Goel and the staff I was able to get the help I needed. Amazing service.My kids learned a lot .The teachers are great .I highly recommend this place for tutoring. Mr. Anil has been a great help for us in understanding various aspects of college admission process. He is very thorough and provides excellent suggestions suited for the student profile. I highly recommend him for advance planning and preparation for all aspects of college admissions. This is a great school for SAT/PSAT prep, it really improved my score. The staff is very helpful and is overall a pleasant experience. MyExams has been a great program for my son. The teachers spent a lot of time of what review method works with my son and adjusted the method to fit his needs. We have seen a difference in the way he completes his work, his focus and importance to topics. We highly recommend this to any child and at any age group. Excellent place for customized attention on child’s needs. SAT prep, essay writing and college apps are their forte. MyExamsPrep provides a great atmosphere for learning and preparing students for the entrance tests and beyond. The tutors are brilliant and provide personalized attention. My daughter enjoys the class and we are very happy with the progress she is making. Finally a prep class that we found after exploring a number of ones in the area. This is one place where I found kids more comfortable and confident. Mr. Anil, the owner takes pride in his work, and as parents, we couldn't be more happier for our child. Absolutely recommend myexamprep. One on one attention, professionalism, improving the areas of weakness and flexible schedule are some of the highlights! Anil has done an amazing job with my kids and I see a great positive improvement!! Highly recommended!! Good place for kids if you are looking for Academic help and guidance. Patience and guidance is hard to find these day but you will see that here aplenty. This place helped me so much! Improved my sat score and taught me how to properly study so I can achieve my goals! Mr. Anil Goel is fabulous teacher. He takes his time to explain things to kids and he also keeps his eyes on every kids so he know what they are doing. I wish I would of met him earlier. MyExamsPrep is a good tutoring institute; Mr. Anil, the owner, helps students build good skills for both academic and competitive exams. My son attended PSAT/TJ/AOS/AET preparation classes and he liked it a lot as Mr. Anil took good interest and helped him to achieve his educational goals. My son got selected into AET program and I really appreciate Anil's help. MyExamPrep has set office hours, however, Anil is reachable via phone call or text 24/7 (no exaggeration), he is very responsive and proactive in making sure the parents are involved in the entire process. I personally experienced and I highly recommend this place. It’s great place both SAT prep and homework. Anil and his team doing great job helping kids. My cousin started taking SAT classes here and ever since she has improved so much in her scores. I am glad I signed her up for these classes. Wonderful class! Exciting new info presented honestly and enthusiastically. ExamsPrep is really helpful for high school students. Highly recommend!!! The teachers are patient and very knowledgeable. They offer the flexibility with your schedule. I attended the college essay workshop and it was very helpful. Mr. Goel is a very good teacher. I would highly recommend. How wonderful would it be to find the right advice at the right time?!! This is a wonderful agency, of kind considerate and knowledgeable people who can provide the child and the family with the right guidance. I am so glad I contacted them! Anil and Ravi are very helpful! I took an online biochemistry MCAT preparatory course with Ravi and he explained the concepts really well! I highly recommend Myexamsprep! They helped me for Mcat really nice staff,flexible timings.I took online MCAT classes and they went really well. Should contact them if you need help on MCAT , SAT, ACT. You gonna like them ! This is a great place for SAT/ACT, AP and college prep for high school students. Anil provides good insights regarding college application and admission process to both parents and kids. It is really beneficial for parents like us who are first timers to the whole college scene. We really liked My Exams Prep approach on SAT/ACT coaching. It is progressive method than dumping all at once on student. They provide lot of additional information about college admissions process. MyExamsPrep is more than a tutoring company; Mr. Anil, the owner, helps students build a resume for college applications. He takes a vested interest to advance each child's educational goals. First and foremost, he focuses on the child's grades and standardized test scores. Secondly, he offers the student opportunity to earn volunteer hours and gain confidence by tutoring younger students. Finally, and most inspiring for my child was the opportunity to co-author and edit study guides for standardized tests. MyExamPrep has set office hours, however, Anil is reachable via phone call or text 24/7 (no exaggeration), he is very responsive and proactive in making sure the parents are involved in the entire process. The teacher gives tips on how to manage the time on the SAT Reading section.The teacher is explanes really well. Great Staff!! I got a great feedback for my AET interest statement! My Exams Prep is a very good prep class for students. The staff is very helpful in teaching and helping you figure out what you’re doing wrong. I am a student and I have seen a large increase in my SAT score. I definitely recommend MyExamsPrep! Awesome place for test prep! Very disciplines and focused place to learn! Anil has started helping my daughter late last year, for Math as well as for SAT; since then I see very positive change in my daughter. She feels incredibly more confident now in school as well as for getting ready for SAT. I always get very positive feedback from my daughter about Anil as well as other tutors of myExamPrep. I highly recommend ‘myExamPrep’ to parents who are looking for SAT Prep classes and/or academic help for their kids. Anil Thanks a lot..!! Anil is doing a great job! His college prep courses are very informative, he gives parents and students all the necessary information needed on the applications. He not only preps kids for the exams but also all the other aspects that go into building the child's resume for school. Very patient and always willing to help!! My examsprep is a great place for my son! Mr. Anil has done an amazing job working with my son, helping him prep for SOL’s and studying for various tests in school. I highly recommend this learning center. My exam preparation is the best .They are always very helpful.My exam preparation is the place where i find all the elements for my kids that create the ideal learning environment,accelerated balanced curriculum and extraordinary teachers. I recommend MyExamsprep for parents who are planning for their children's academic future, Anil know where a child is, keeps a record of how they need to work to progress and helps them to overcome their hindrances, he is gifted in caring, listening (to children/parents), patience and punctuality. MyExamsPrep provided my child with help tailored to her specific needs. They also were flexible with schedules and helped her with specific areas of subjects that she needed to improve on. We highly recommend! Myexamsprep really prepares me for my MCAT, especially in the biochemistry and biology section. Couldn’t be happier with the results! My Exams Prep goes above and beyond to help the students in need - not just the TJ/AOS, SAT, PSAT, etc. but, also provide timely help on students' school work. Glad to be part of the MyExamsPrep family! Thank you for helping in such a short notice. My daughter likes the program.Thanks for helping to reach her goals. My son has tried other tutoring places but he is much more comfortable going to this place. He likes the teachers as well as environment. Well organized and planned programs for all competitive and specialized schools. My son was doing horrible in statistics...getting F's , he had just 3 weeks to get better, quarter was ending ... with the help of MyExamsPrep he was able to pass :-) and with just few hours of instruction. The teachers in this place truly care about the students. They won't stop at just teaching the subjects but will also encourage them to do and be their best. MyExamsPrep is a great place to go for tutoring especially for SAT. I have been going for 3 months and I can significantly see an increase in my SAT score. Mr. Anil's lectures in English classes are great. I have been coming to this place for the past couple of months now. The rigorous SAT prep and homework has helped me in both English and Math. Anil has taken his time to help me which has brought my test performance up. I am currently in 9th grade, so a few more years of practice here will really pay off, and I am glad to come here for class. I am currently a student at myexamsprep taking the SAT classes. So far these classes have helped me learn a lot regarding English as well as math. Even if you know a lot on the SAT this is a great class to sign up for practice and to familiarize yourself with SAT questions. MyExamsPrep is an epitome of efficiency and effectiveness in coaching. Anil's professionalism and work ethic is exemplary. My daughter has been benefited from Anil's tutoring especially in math and writing. I would highly recommend my examsprep for everyone that’s preparing for SAT and ACT. They’ll devise a specific college plan for each kid and give them the best chance to get into the college they desire. It’s a long-term and holistic approach and works well for every kid. The rigorous SAT prep and homework has helped my kid in both English and Math. Anil has taken his time to help which has brought the test performance up. Very nice experience so far. Team is very responsive , supportive , flexible and professional . I will highly recommend myexamprep for students aispiring bright career. If you need help this is the place to be. Even if you don't, you can come here and learn new tricks to help you work faster. Awesome class! The teacher explains everything properly and makes things clear. This is great place for AP examination preparation and school homework help. Great SAT prep! Has helped me a lot! The SAT classes are really helpful! Awesome tuitions, helps me a lot. I would highly recommend my examsprep for everyone that’s preparing for SAT and ACT. 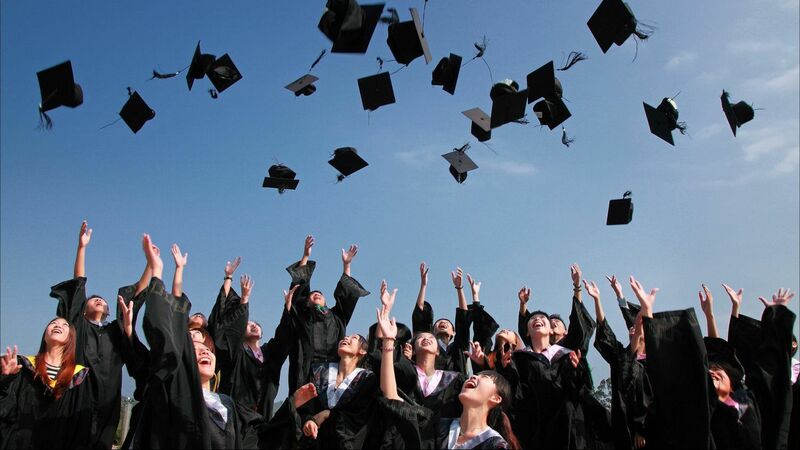 They’ll devise a specific college plan for each kid and give them the best chance to get into the college they desire. It’s a longterm and holistic approach and works well for every kid. Helped me improve me grades in AP chemistry! Our SAT student scored 1540/1600 on the 03/2017 test. VCU Presidential scholarship (100% free ride) + VT Presidential Scholarship. 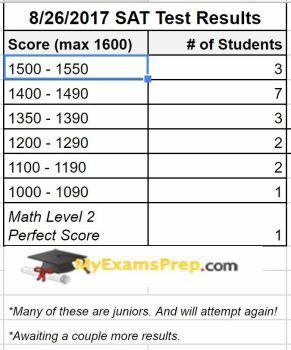 1550/1600 + "Perfect" score in Math Level II test. a.) MyExamsPrep’s practice tests and Math & English classes focused on student weakness was the key reason for my daughter’s good ACT and SAT scores (1540 and 35). b. ) My son has gained a better understanding of the SAT with MyExamsPrep. Anil cares about the students and goes the extra mile to ensure they understand the material. My son still has long ways to go, but I am sure with MyExamsPrep he will get there! c. ) MyExamsPrep teaches you not to stop on the first obstacle but have the endurance to keep going and finally succeed. Awesome place for learning. d.) Our experience with MyExamsPrep was really good. Here personal attention is given to kids according to their needs. This program has a structured teaching. e.) My daughter enrolled in MyExamsPrep for SAT preparation. There couldn’t have been a better choice. She has gotten personalized attention, with her progress planned, tracked and discussed throughout. I highly recommend MyExamsPrep to anyone wanting to give a head start to their children. f.) My daughter likes the program. We appreciate your patience and dedication for continuous improvement of skills in reaching her goals. g.) I am not sure how much my son has improved on his reading/math, but definitely, you have better communication/interaction with parents, and we were always kept precisely informed about the accomplishments/upcoming tests. h.) MyExamsPrep is very helpful for my son in preparation towards college preparation exams. The input sessions are informative and thoroughly explained with immediate feedbacks every week. I am very pleased to enroll him and feeling benefit already by observing his progress. I recommend this place to get the best quality in preparation for SAT. a.) MyExamsPrep provided me with individualized personal; attention and knowledge required to success in my academic endeavors. b. )My son improved greatly in reading and writing while preparing for TJ & AOS with MyExamsPrep. Mr. Anil put his heart and soul for the success of my child. c.) MyExamsPrep and Mr. Goel are second to None. We have tried other classes in the area, and those were a waste of time and money. If you want your child to succeed, I recommend MyExamsPrep. d.) Anil’s teaching method aligns with student’s needs. It is customized based on student’s current abilities and strives to make improvement from that base point. e.) We recently joined our son at MyExamsPrep, and he has a great experience so far with PSAT preparation. It’s working out well for him.f. My daughter was coached by Anil for AOS/AET/ She got selected for AET. Anil is a very focused teacher and pays attention to every kid while tutoring. We are very proud to say that my daughter got trained by a very talented teacher. a.) Wonderful learning experience. Our children feel challenged and learned a lot from Mr. Goel. Helped my 8th-grade son a lot in Algebra I and Language Arts. b.) My 1st-grade son joined MyExamsPrep for tuition three months back. We are glad to choose MyExamsPrep for him as I see a lot of improvement in his math skills. Thanks a lot to Anil sir and I do not hesitate to recommend MyExamsPrep. c.) I really like this institution. I am feeling great that my daughter is your student and being flexible with us. Thank you for being her teacher and appreciate for all you do. d.) I have had excellent experience so far. What I like most about MyExamsPrep is they don’t treat you like a business. They teach your child with sincerity and will be as concerned as you are. e.) My kids’ grades improved significantly. Thank you! f.) My children 'Child 1' and 'Child 2' have been going to MyExamsPrep for a while now and have been making progress at an amazing rate. Their grades have improved considerably with all the efforts you put on them. g.) If I were to give anyone credit for their education, it would be only because of your tutoring Anil Goel. There were days when you even helped them with their tests and homework at 10:30 pm in the night and 7 am in the morning. Such is your dedication to your students. I really appreciate all your effort and time you invest in your students. h.) MyExamPrep is an excellent place where every student feel very comfortable while learning. Anil's individual attention and friendliness to each and every kid is a unique method that you can't find in any other places. "Since MyExamPrep started recently I was hesitant to put my daughter in the SAT preparation program there. We started off with free classes to see how to goes. But after few classes, my daughter mentioned that she likes Anil’s teaching and also liked the small group. Just want to thank you for the great SAT classes my daughter took with you. We are very happy to see her progress and looking for much more progress." "Kids enjoyed their class with you and really liked you a lot :)"
I tried MyExamPrep for my Son's SAT preparation this April and May and I was "Very Satisfied" with the commitment of the tutor (also the owner of the institution) towards the student. He took personal interest in preparing the child and spent time above and beyond his scheduled hours. He has shown excellence in covering the concepts that the child lacks and ensuring that the student is well prepared. Anika: Grade 7: Email from mother - "Anika got 'Outstanding Performance Award' in MATH in 7th grade. She also had all A's in her report card. She passed both her SOLs in advance. Over all she had successful 7th grade. So thank you for all your efforts"